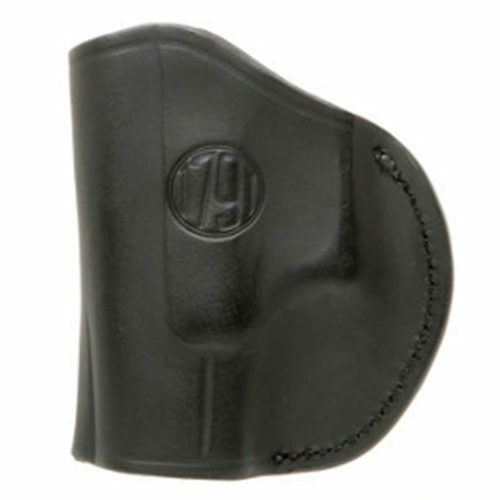 The right to conceal and carry takes many different forms – one of which is the Inside the Waistband or IWB holster. Some folks prefer ankle holsters that they can tuck into their boots, while others may like the feel of a shoulder holster when shooting for sport at the range. IWB holsters are by far the most common type of setup because they keep the personal firearm easily accessible at a moment’s notice, which is ideal for protection purposes. Even if you only use your pistol for sport, having your weapon by your side where it’s easiest to un-holster and re-holster is an obvious asset. 1791 Gunleather specializes in high-quality, hand-crafted leather IWB holsters that you’ll want to pass down for generations. What makes 1791 Gunleather the best choice for IWB holsters? Do you ever find yourself saying, “They just don’t make ‘em like they used to?” If you’ve got more than one holster sitting in a junk drawer, you know what we’re talking about. All 1791 Gunleather IWB holsters are made by fourth-generation leather artisans. It’s our designers’ life work and a point of familial pride. Leather holsters are superior in comfort, conform, and fit. The smell, feel, and beauty of a genuine leather holster is unsurpassed. The IWB holsters made by 1791 Gunleather all come from the highest quality of 100% Certified American Heavy Native Steerhide, secured by strong metal clips. 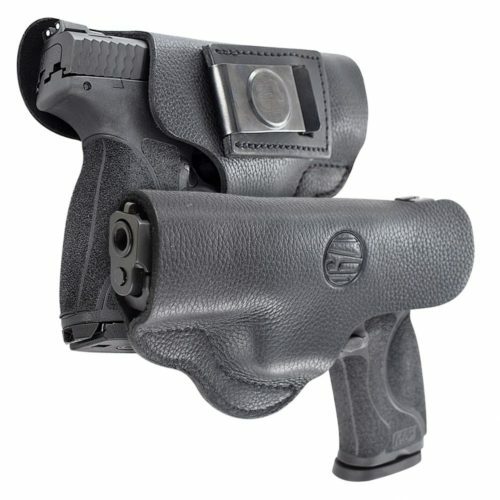 Compared to molded thermoplastic holsters, leather will not warp on a hot day or shatter across a weak plane with age. Unless you are using your holster in swamp-like conditions, a good piece of premium leather will withstand the test of time, lasting for multiple generations. This is where customers are floored. How can something so high quality be so affordable? The answer is simple: we’re not in it for huge profit margins. We’re a relatively young upstart looking to amend the gun holster industry, one holster at a time. For far too long, our veterans, our men in blue, our sportsmen, our armed citizens have paid too much for too little. It’s time people have the opportunity to pay a reasonable price for a holster that looks handsome, functions reliably, and costs fair market value. We put our money where our mouth is. 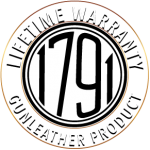 All 1791 Gunleather holsters come with a Lifetime Warranty on all factory defects not related to natural wear and tear. You will receive a replacement item free of charge. If the product no longer exists, you will receive store credit or a refund. We want you to be happy with your purchase, and we want the holster to fit your firearm perfectly, so you have full utility and become another one of our many loyal fans. If, for any reason, you are not 100% satisfied with your purchase within the first 30 days, you are entitled for a full refund or credit. We’ll even pay the shipping! Contact us for proper authorization. We go the extra mile with hand-finished interiors that protect pistol bluing, reinforced stitching to maintain a secure hold, left or right hand styles, sizes calibrated for specific model guns, multi-fit designs that account for different carry styles, and smooth contours that easily conceal. Most holsters come in your choice of Stealth Black, Brown on Black, Signature Brown, or Classic Brown. Our formula for fast growth and increasing market share was simple: provide customers with knowledge and direction, alongside low prices, website functionality, and sound product design. In just a few short years, we’ve landed in over 1,200 dealerships across America and reached a level where we’re competing with well-known brands. Much of our growth comes from in-person interactions with customers at trade shows, email and phone conversations with prospective buyers, and repeat sales from people who love our work. We are fully committed to our customers, keeping in touch every step of the way to make sure you are informed and 100% satisfied with your purchases, whether it’s your first, or your fiftieth. A belly band holster clips to a piece of elastic with Velcro, rather than a leather belt. Joggers and people going to the gym find this type of holster particularly handy. The lightweight UIW and UIW Max holsters can easily be worn beneath any attire, strapped to belly bands, or on the belt in a more traditional sense. Whether you’re in law enforcement or carrying a 1911 for personal protection, you need your piece held reliably at your side, with the desired position and cant. We offer several types of IWB holster that accommodate a 1911 snugly. 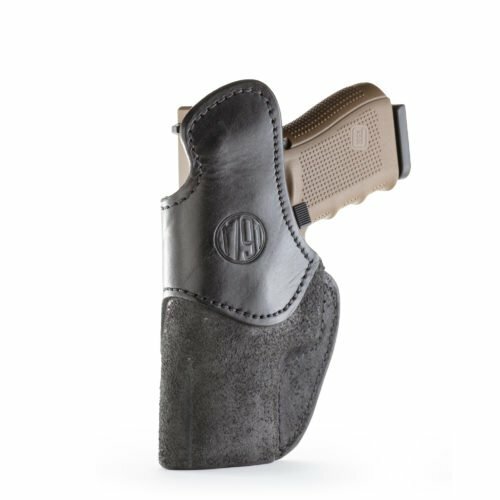 Simply choose size 1 in the 2 Way, 3 Way, or 4 Way Concealment Holster for a comfortable fit. The Smooth Concealment Holster can also accommodate a Browning 1911-380 (size 0) or the 1911 3” (size 3). Why Carry Inside the Waistband? The most popular way to conceal and carry is to wear an IWB holster with the firearm at the three or four o’clock position. Inside the Waistband holsters conceal firearms most completely. This may be of utmost importance if you are in undercover law enforcement or in the presence of people who would not feel comfortable knowing you are carrying. Concealing your weapon avoids unnecessary question and commentary from people while you’re out in public, trying to keep a low profile. If you carry for personal protection, the element of surprise can be one of your biggest assets. The IWB holster provides excellent cover. As long as you are confident in your draw, you can wear untucked shirts or jackets easily with an IWB holster, using the pressure of your waistband to hold the gun in place. First off, forget about IWB holsters if you live in a jurisdiction that requires a conceal-and-carry permit and you do not have one. The last thing you want to do is tuck your firearm away and get hit with illegally carrying a concealed weapon. You certainly don’t want to risk up to a year in jail and/or a $1,000 fine. Secondly, IWB holsters are not recommended for individuals who are inexperienced in handling their firearms. IWB holsters are more difficult to access when tucked inside the pants, compared to exterior access Outside the Waistband holsters. Lastly, the choice between IWB and OWB is a matter of feel and personal preference. You will likely have to buy pants a few inches larger than your normal size to accommodate your piece. Not everyone likes the feeling of a weapon pressing up more directly against the body, especially in extended wear situations. For your convenience, we also offer a wide variety of OWB holsters and versatile IWB/OWB holsters for your consideration. 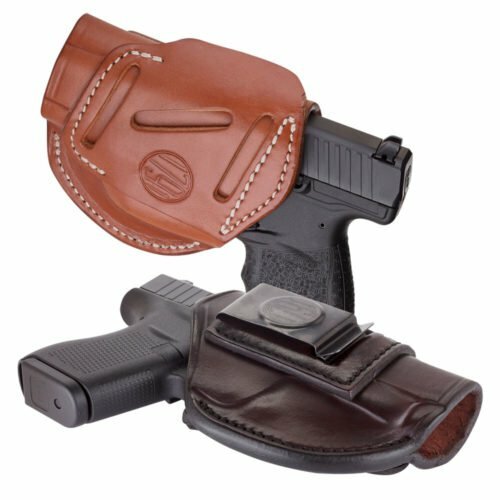 Contact us to learn more about choosing the right IWB holster by 1791 Gunleather. No question is too big or too small for our customer service team. We love speaking with other Second Amendment right enthusiasts. If you live in the Miami area, stop down and see us in person at our shop in Allapattah.